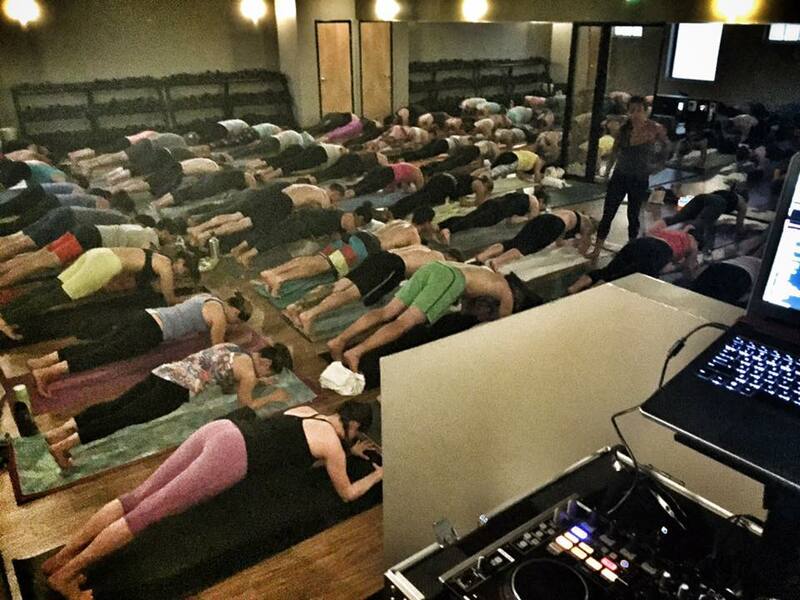 The February edition of yoga sculpt was filled with high energy beats and Katie’s always pushing her students so hard. DJ Justin Kanoya spins at a Corepower Yoga Sculpt class with Katie Burke. The April 2017 edition of DJ Kanoya spins at Corepower Yoga brings a “stand up” theme. Katie B’s theme for the week was “I stand for myself.” So it only made sense to mix in Ludacris’ “Stand Up,” as well as a “stand” theme song from Bob Sinclair. San Diego DJ, Justin Kanoya, with yoga instructor Katie Burke. 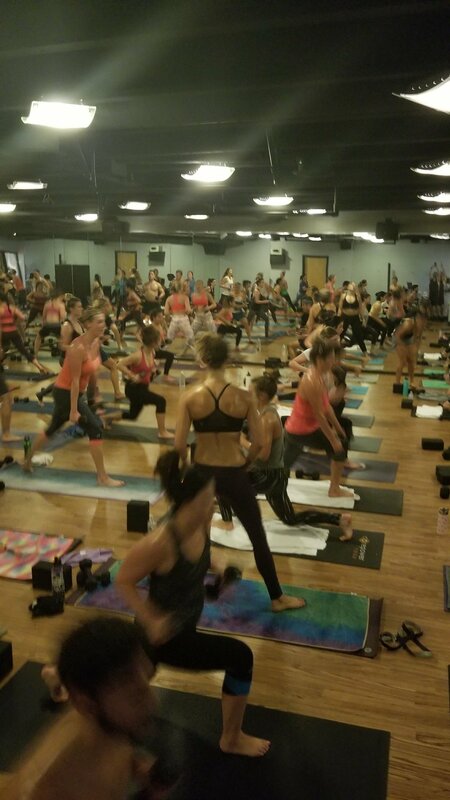 It was a heart pumping, sweat inducing Yoga Sculpt session with Katie B at CorePower Yoga in Point Loma. Katie’s theme for the week:“my why is stronger than my excuses.” Think about why you make an excuse for something. And by taking the time to think about it, you generate a better decision and conclusion. It was an introspective way to start class (hence the reason I led off with what else, Annie Lennox’s “Why.”). But then things picked up and before long everyone was sweating and dancing!